Our Mother Mary, the Mother of God, has been physically appearing in all parts of the world more and more frequently in this generation. Throughout history, the Catholic Church has given Mary honorary titles and sometimes she herself even asks to be known under certain titles. This is to emphasize and identify the magnificence of Jesus who alone has elevated her to this holiness and thus commissions her to rally us (the children of God) back to a life united with her son. After Fatima, the most famous of the 20th – 21st century apparition sights is the village shrine of Medjugorje, located in Bosnia and Herzegovina. But if we study the phenomena more deeply, we will see that Our Mother has been quite busy around the world in an urgent appeal to her children to return in a more radical and fundamental way to her Son, Jesus. The continent of Africa is not exempt from this call. Since 1950 she has appeared hundreds of times in at least three African countries, pleading for us to return to God. 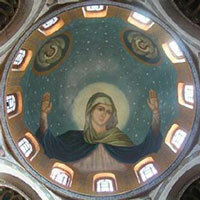 From 1968 – 1971, the Blessed Mother appeared on the roof top of the church of St. Mark’s Coptic Church in an Egyptian suburb called Zeitun. 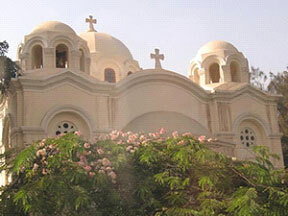 Tradition has it that after the birth of Jesus, the Holy Family passed through Zeitun on their journey out of Israel as refugees to Egypt. 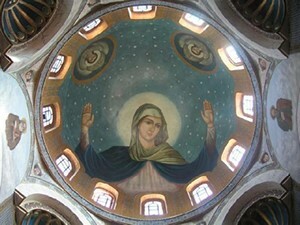 Here in Zeitun, allowing herself to be filmed and photographed, Our Lady appeared many times in a position of prayer as if inviting us to pray. Doves would fly round her and form the sign of the cross, so that Christianity was shown to millions of people of different religious backgrounds for the Glory of God. In 1981, thirteen years before the horrific genocide of Rwanda, East Africa, which claimed the lives of a million people, including 25% of the country’s priests and religious, Our Mother appeared in this mountainous country to four young students giving a message of hope, love and repentance. She said that our world was racing towards its ruin and we must return to living lives based on the 10 commandments and on the Gospel. She asked in Kibeho to be recognized as the “Mother of the Word.” She told the visionaries that she was concerned for the whole of Africa. She asked them to help us prepare for the return of Jesus to our world. Mary also predicted the atrocities that would come if they did not respond well to her plea. She described a sea of blood and pain, but also showed them that Kibeho would always remain a sacred place for all to gather to pray, reconcile and to give God glory and praise. From 1950 – 1958, the Blessed Virgin appeared ten times to a German Benedictine Sister Reinolda May, in a small mountainous village called Ngome, located north of Durban, South Africa. Here she asked to be made known under the title, “Mary, Tabernacle of the Most High.” In several of her apparitions, she had resting on her breast a large Host radiating Brilliant Light. She was a living Monstrance. I lead the 50 pilgrims from the SMA parish of St. Martin de Porres to the Ngome shrine in mid-July. There, the graces of God flowed in superabundance. From Pretoria, we traveled 9 long hours through winding village roads, ascending and descending the vast Zulu mountains. As the sun was setting we arrived very tired and cranky to what seemed to be the most abandoned place on earth! 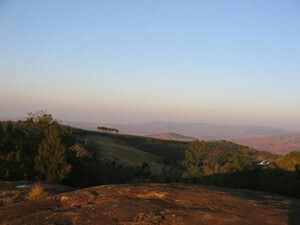 Ngome, for the average person, has nothing to offer but gorgeous scenery! Mary often chooses the least likely place for prayer! 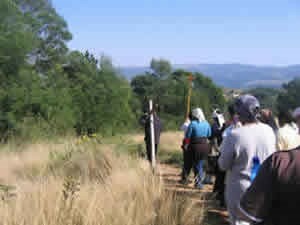 But for we who believe in the healing power of Jesus, Ngome became for us a truly awe-inspiring, adrenaline pumping place of deep conversion, healing, peace and joy. 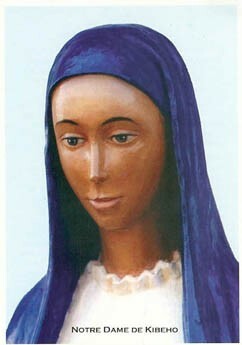 It is difficult to describe in words but for the people of Southern Africa, it is Mary’s gift to their wounded hearts. The painful histories both here in South Africa and in her neighboring Zimbabwe are almost unimaginable for the Western mind to conceive as possible. 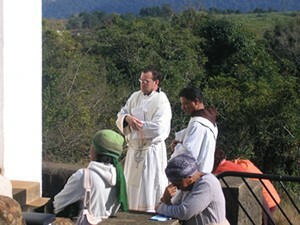 During the pilgrimage a woman came to me and said, “Father it has been 21 years since I last confessed…” I did not ask myself, “What kept her away from the Sacrament for 21 years?”, but I asked rather, “After 21 years, what was it that triggered the desire for you to reconcile with Jesus?” And I received the answer in my heart: A Mother’s Love. At the end of Sunday’s Mass, the pilgrims literally danced out of the Church with immense joy. What a remarkable change from the crankiness, hurt and desperation that was so obvious at the arrival. The healing had begun. They received graces that only God could give. The pilgrims go home renewed. I pray that they go home responsible for the graces received. I pray that they responsibly pass on Mary’s message of Jesus’ mercy and love for us. By doing so, they too show that they are living Monstrance’s, tabernacle’s of the Most High. Mary, Mother of the Missions, pray for us.